You may have a safety device installed at your furnace to prevent damage to your equipment as a result of the condensation that's produced when you run your air conditioner. These safety devices include float switches, wet/safety switches, condensation pumps, and drip pans. They are usually wired into the R terminal on the furnace (you'll see an additional wire on the R terminal/spliced into the R wire and should be able to trace it back to the safety device). When condensation begins to gather and has no way of draining properly, power to the thermostat will be cut. In order to restore power to the thermostat, check your safety device to ensure that water is draining properly. If you notice that the drip pan is full, empty it and clear any potential blockages. An example of a safety switch. 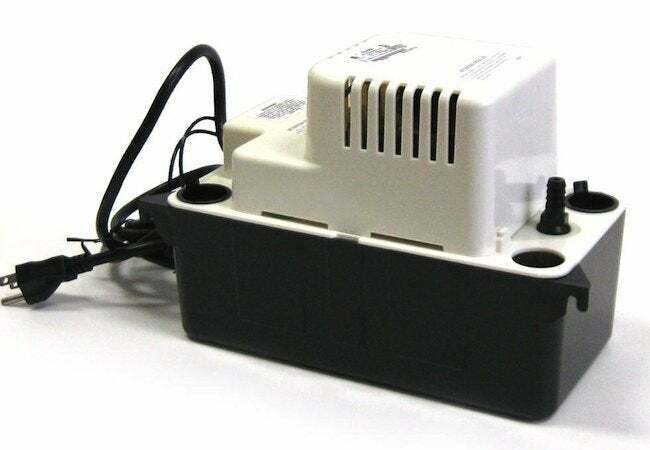 An example of a condensate pump. An example of a drip pan. Check to see if the pan is full of water.